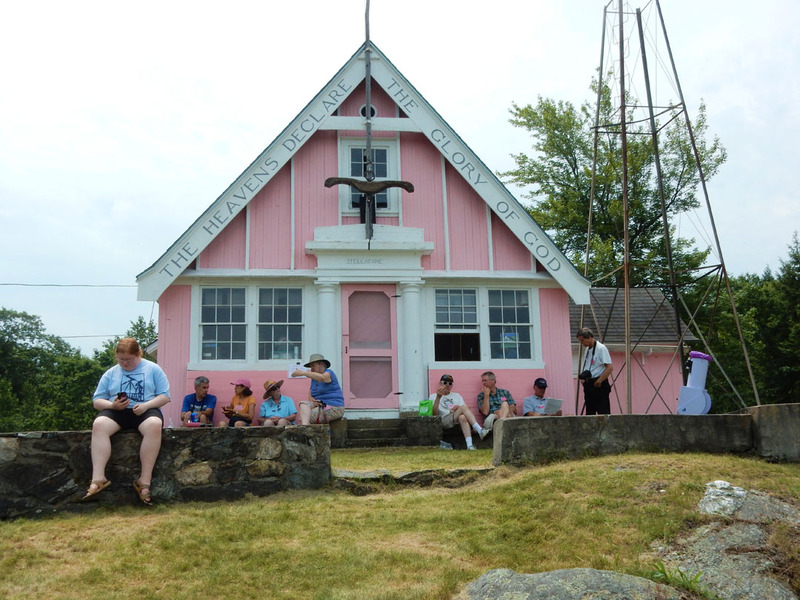 The pink Clubhouse on Breezy Hill at Stellafane. 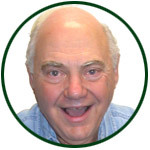 This week I return to Breezy Hill in Springfield, Vermont, for the annual Stellafane Convention. Stellafane is my favorite place in the world. 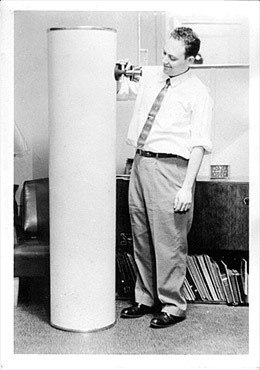 It’s where I won 3rd prize in 1958 for my high school project telescope and 1st prize in 1972 for my 12″ scope. 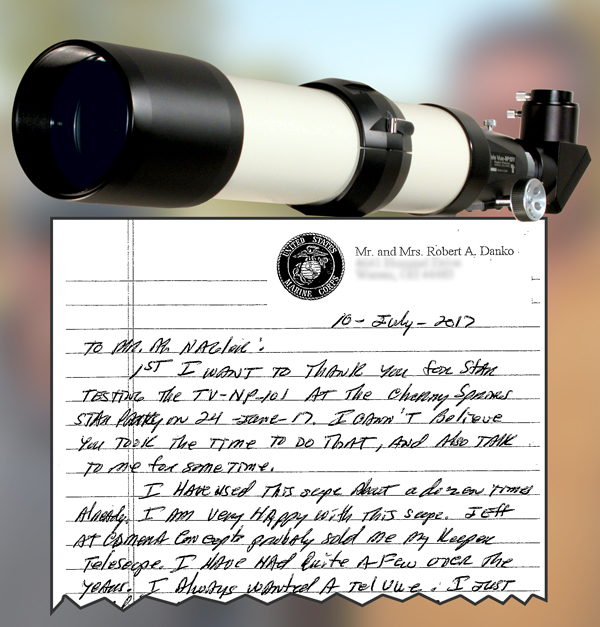 The rich association of telescope making with Stellafane is why this place is considered the “birthplace of American Telescope Making”. I hope you enjoy the following slide show from last year’s convention. It features many images from the Telescope Competition. By the way, “Stellafane” comes from the Latin words “stellar” (star), and “fane” (shrine) so “Stellafane” is a “Shrine to the Stars”. Never been there? All amateur astronomers should make a “pilgrimage” to this “shrine” at least once! 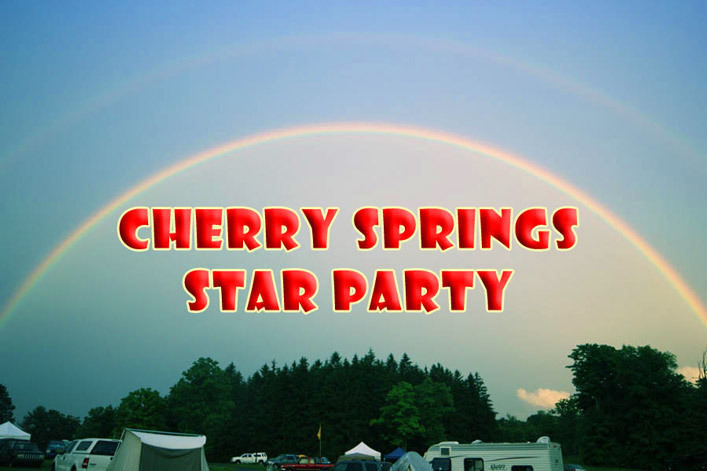 Cherry Springs Star Party This Weekend! I’m looking forward to seeing everyone at the Cherry Springs Star Party (CSSP) this year in Coudersport, PA. I’ll be bringing some goodies to show and hoping the weather will be better than last year! Double rainbow thrilled attendees at CSSP 2015. 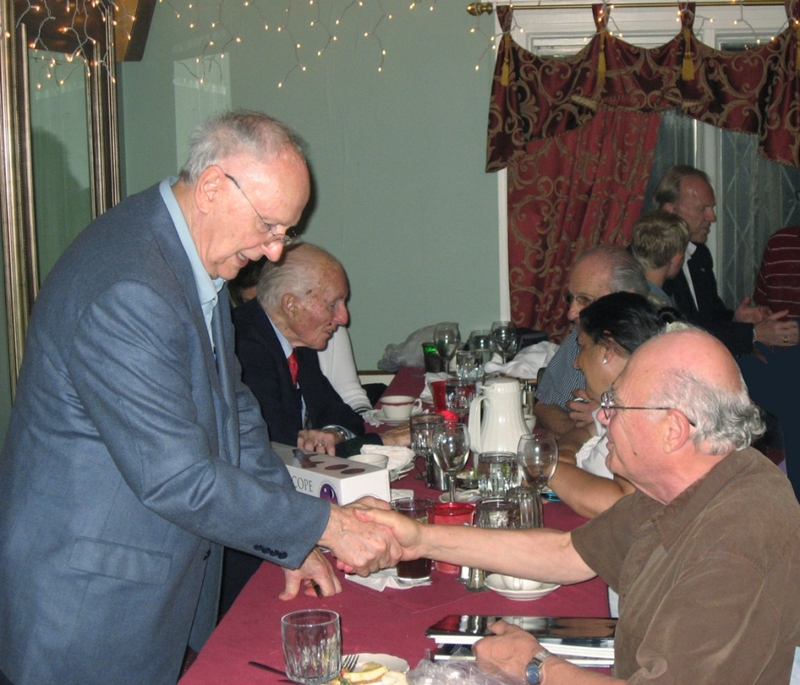 At Stellafane 2009 Alan Bean (left) shakes hand with Al Nagler (right). Alan Bean, who became the fourth man to walk on the moon and turned to painting years later to tell the story of NASA’s Apollo missions as they began receding into history, died on Saturday at Houston Methodist Hospital. He was 86. His death was announced by his family in a statement released by NASA. Mr. Bean stepped onto the lunar surface preceded by Pete Conrad, the mission commander of their Apollo 12 flight, in November 1969, four months after Neil Armstrong and Buzz Aldrin became the first lunar explorers. First quarter moon imaged with FoneMate and DeLite 7mm eyepiece. J. Betancourt. Most amateur astronomers will ignore the full moon. 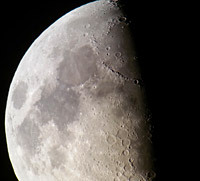 The best telescopic observations can be had before and after the moon is full. For instance, when the moon is half-illuminated, at first quarter, as it waxes toward full. Along the night and day terminator line bisecting the moon are the boldly cast shadows of mountains, craters, rilles, and basins. This is where your telescopic lunar observations should begin. 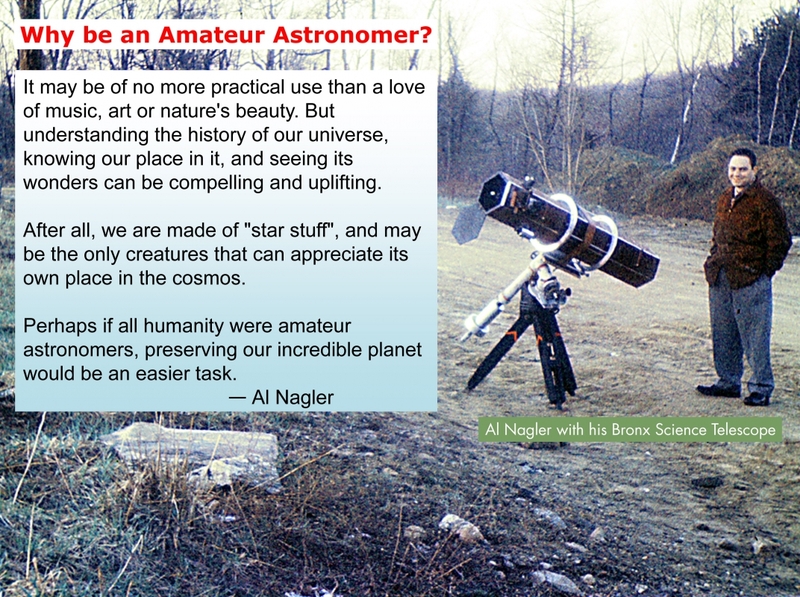 Why be an Amateur Astronomer? Line forms around Al Nagler and his TV-NP101 with Tele Vue FoneMate smartphone adapter. People can see the eclipse on the smartphone screen. Judi is on the right in green. Image by Mike Kaisersatt. Tele Vue telescopes spread out along the center-line of the Monday, August 21, 2017 North American Eclipse. 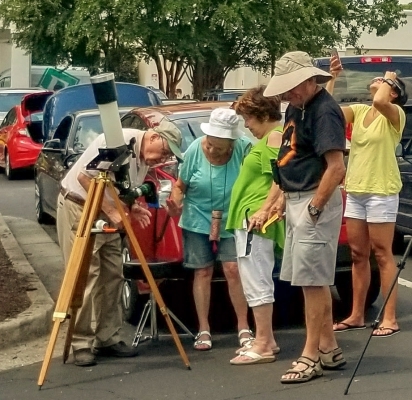 Our employees and friends report on their eclipse experiences. 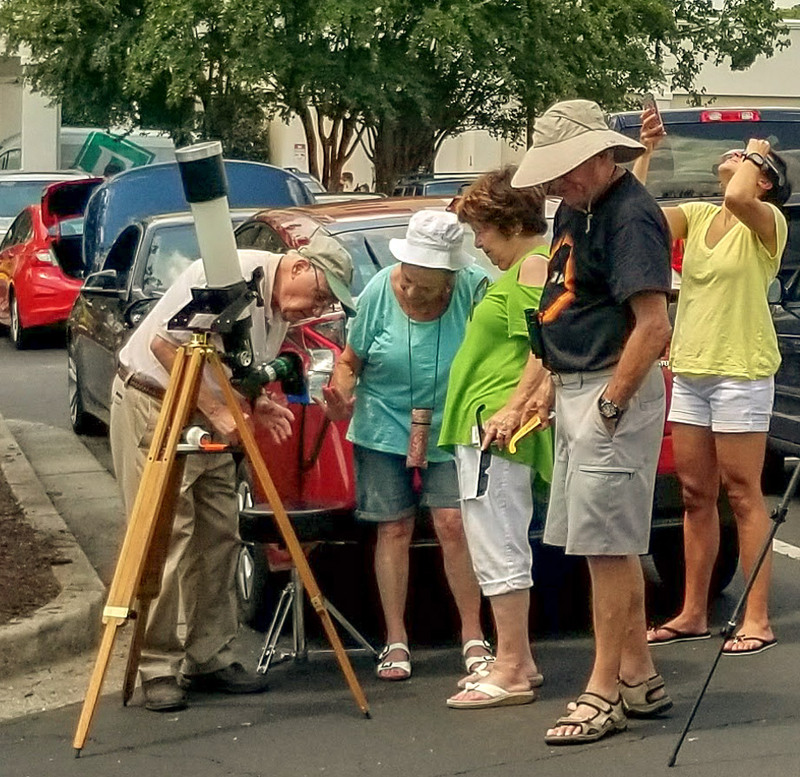 Our second report is from Al Nagler’s totality trip to Columbia, SC. A year ago, Judi (wife and Tele Vue co-founder 40 years ago) planned this eclipse trip, our 4th. I decided, agreeing with Neil deGrasse Tyson’s recommendation, to concentrate on the unforgettable visual experience of totality. Boy was he right! We reserved rooms at the Hilton Embassy in Columbia, SC and drove there starting on Saturn-Day (pardon my passion for changing the name) August 19th, arriving on Sunday afternoon to meet-up with our good friends Gail and Matt Cowit to share the experience. I immediately found a good parking spot with my car trunk facing a large open area and nearby trees for shade benefit :-). Moons Enceladus & Tethys visible on original. 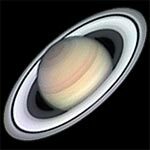 Saturn will be visible all night in the sky on the 15th as it rises when the sun sets (hence it is opposite the sun). Now is a good time to revisit an essay I wrote a while back about this visually appealing planet. I’ve found that first-time views of Saturn through a telescope typically elicit gasps of delight followed by inquisitive questioning. Saturn’s startling beauty can open the door to wonders and knowledge about the universe that can inspire a love and appreciation of all the arts, sciences, and history. Understanding something of the vastness and nature of the universe and our unique position as the only species possessing such knowledge suggests we commit to fostering the best in us: love, kindness, respect for learning and for all the amazing life-forms we’re so fortunate to share on this wonderful planet. So let’s use Saturn as a means to enrich our future and help preserve our earthly paradise. Spread the word to change Saturday to Saturnday through all media and contacts, in every social venue, to start dialogues that can open the minds and hearts of our earthling friends. Caring for our precious planet and it’s lucky inhabitants, will make future generations proud of our time here. Saturnday can change the world with your help !